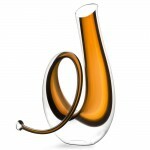 Riedel Horn Decanter (P/N 2014/02). 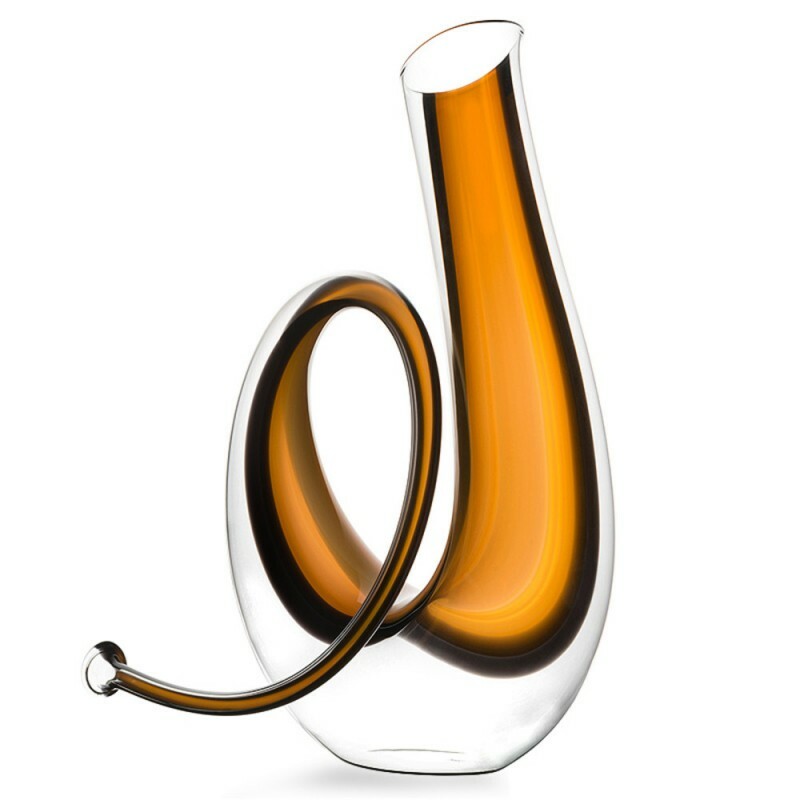 Austria's early horse-drawn carriage mail service used a Post Horn to announce their arrival - an elegant instrument that has been incorporated into symphonies ever since. 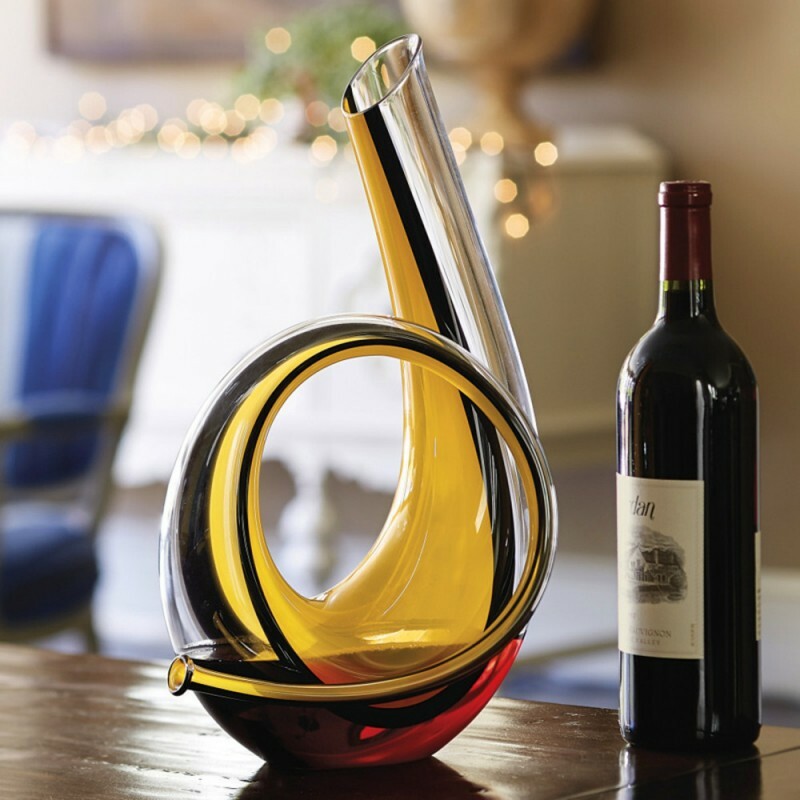 A gold stripe in the mouth-blown glass echoes the origins of this stunning decanter. 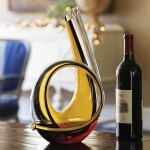 Create an unforgettable wine experience using this classic decanter.